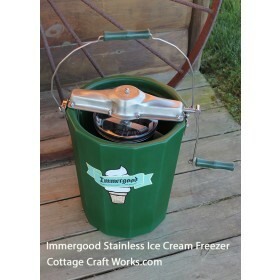 Immergood USA 6-Qt Crank Ice Cream Maker, absolutely the best! Low flat rate shipping to the Continental US! 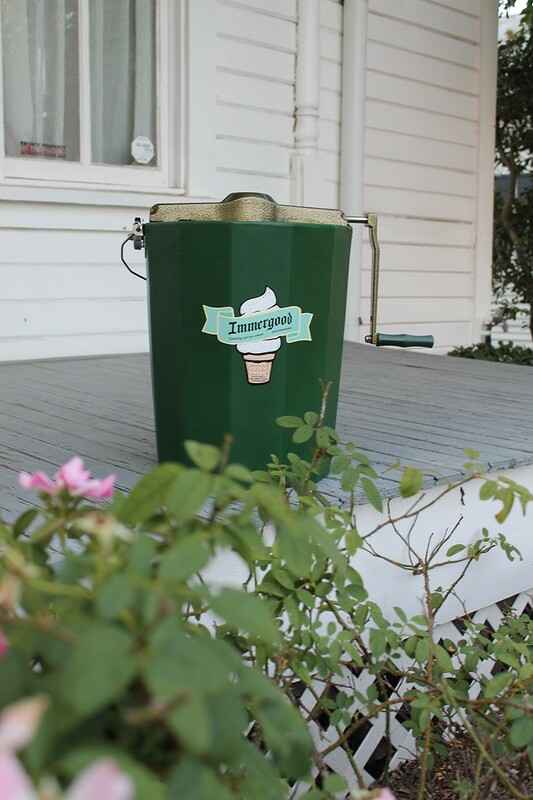 Immergood has raised the bar on old fashioned ice cream maker quality. 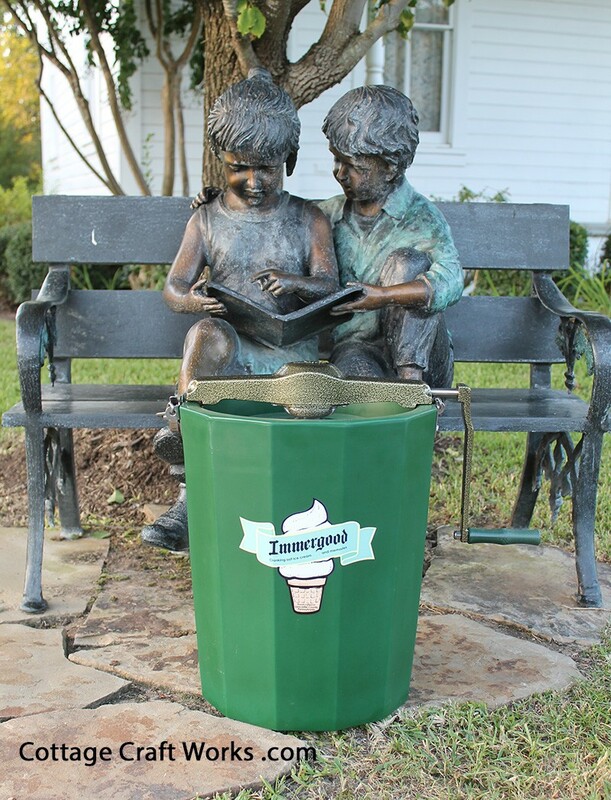 Customer response has been very popular and the word has quickly spread making Immergood the hottest selling ice cream freezers within and around the Amish communities across the US. Now an ice cream freezer that doesn't leak with a 3 Year Warranty! 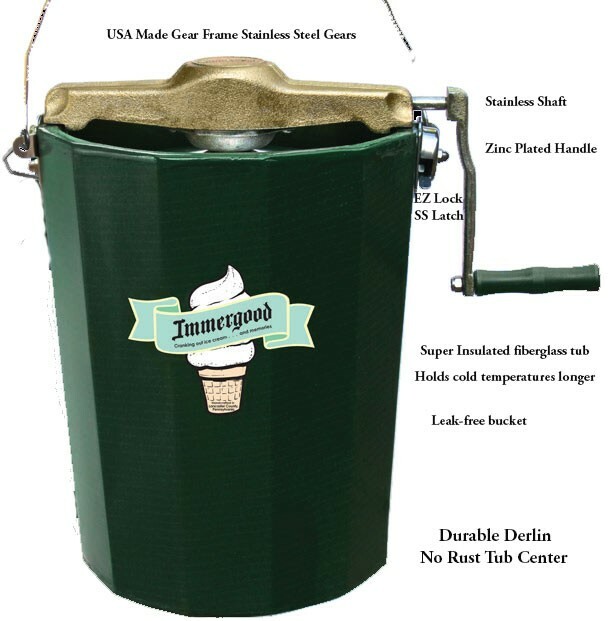 Take a close look at the quality material and craftsmanship and you will quickly realize that the Immergood USA made ice cream freezers will be in use for a very long time. 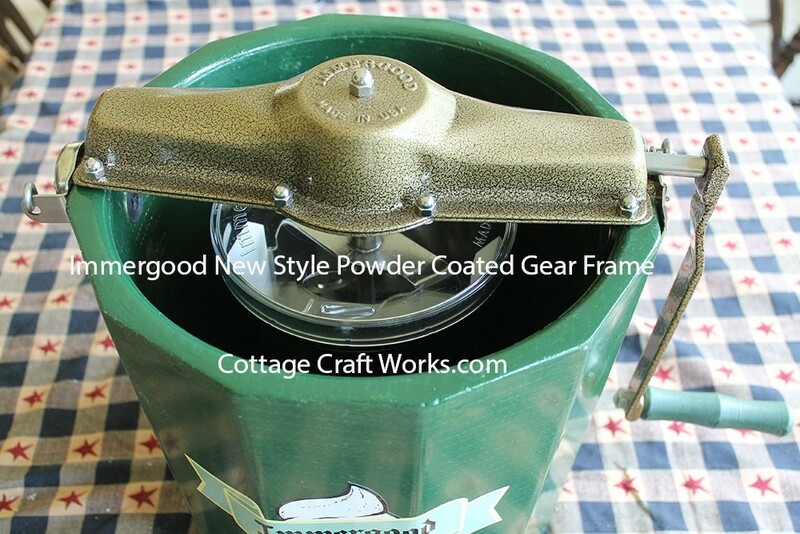 Immergood USA made gear frame complete with all stainless steel gears and nylon bushings to provide a significant upgrade from any other freezer gear frame on the market. Each freezer is Amish handcrafted and comes with its own unique serial number. 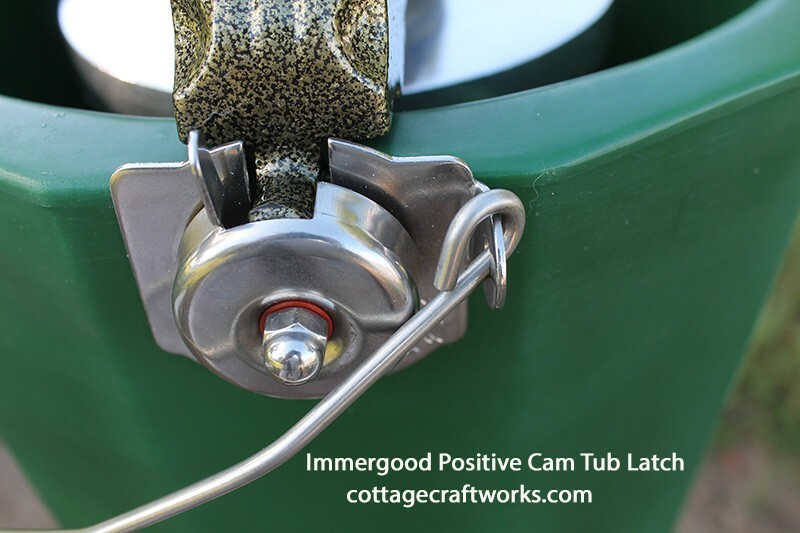 While others have just done away with tub latches all together, Immergood has gone to the other extreme using heavy gauge stainless steel tub ears and latch. 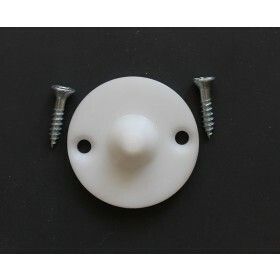 The new positive stainless steel tub latch is made just like an old window sash latch. The Stainless steel doesn't stop on the outside either. 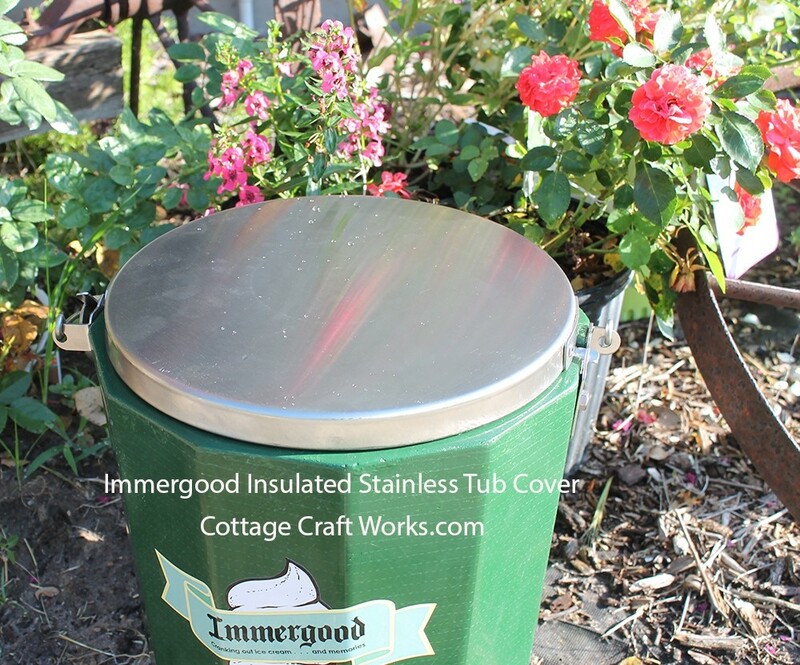 Immergood Freezers use a polished stainless can that is 40% thicker than White Mountain. 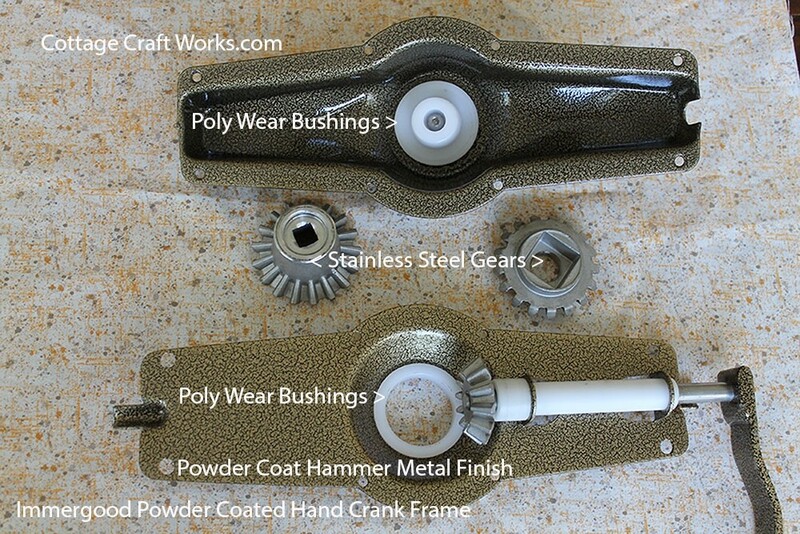 Stainless Steel American made gears are also used inside a zinc plated gear frame with a stainless steel shaft. 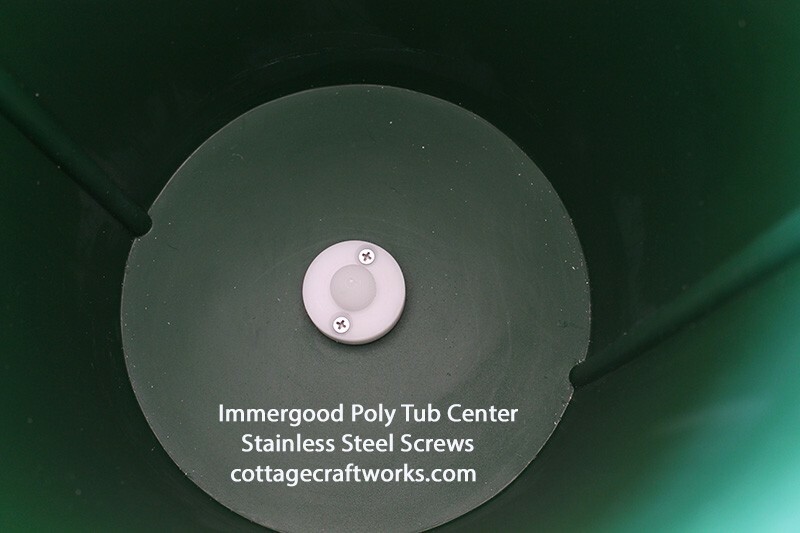 Immergood features a two-part triple-action dasher with poly scrapers. 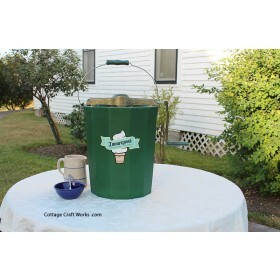 The tub center and scrapers are made from a durable Derlin high impact plastic that the Amish have been using for several years to replace the old cast iron tub centers used in the White Mountain freezers. Starting with the 2017 models Immergood upgraded the standard 6-qt hand crank gear frame from a cast metal housing to a new two section bolt together metal housing. It looks just like the Immergood Stainless gear frame. Instead of the housing being made of Stainless, the standard gear frame has a durable powder coated finish on the housing and hand crank. It still has the same stainless-steel gears enhanced with better wear bushings to the point grease is no longer needed! The unit cranks nice and smooth. Since we are the original online Immergood dealer some of our pictures may still show the older cast gear frame. The Immergood 6 qt fiberglass freezer tub has an 11-5/8 tub latch to tub ear distance compatible with White Mountain electric motors. Country electric motors may also be used but the Immergood tub latch will need to be replaced with a Country Tub Latch in order for the Country motor ear to fit and latch down. 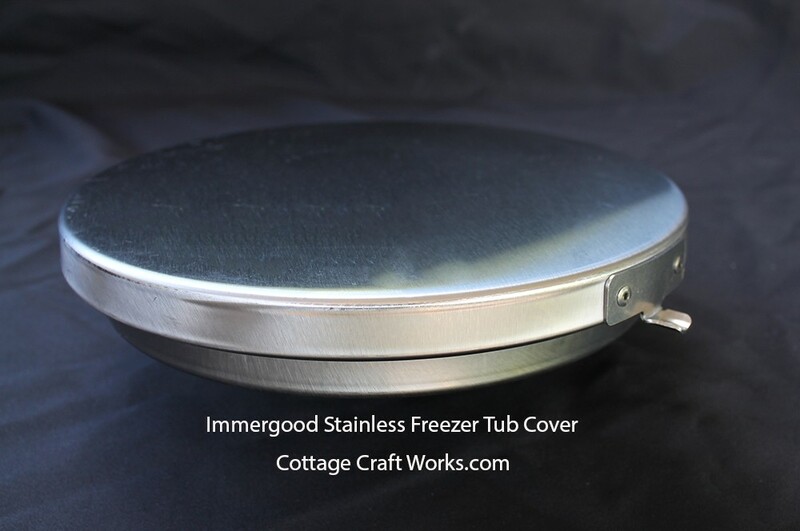 Purchase the optional stainless matching insulated tub cover. 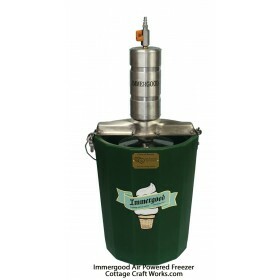 Allows you to remove the frame and dasher and keep the ice cream in the bucket for extended periods. Some Amish report keeping ice cream for days in the covered fiberglass tub. Individual experience may vary. The freezer will come with a standard clear can lid which, has become the most popular to view the ice cream as it's being made. A traditional metal lid is an additional option if you want to alternate and have a backup lid. The tub cover and the metal can lid are not included in the price of the freezer, select these options using the drop down boxes. Ships $14.50 flat rate within the Continental USA. Contact us via e-mail for shipping rates outside the Continental USA. 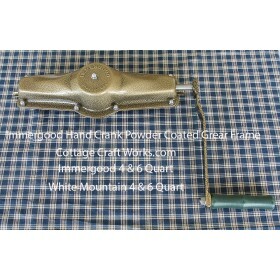 Now available in an 8 qt hand crank model. Click Here for more info.